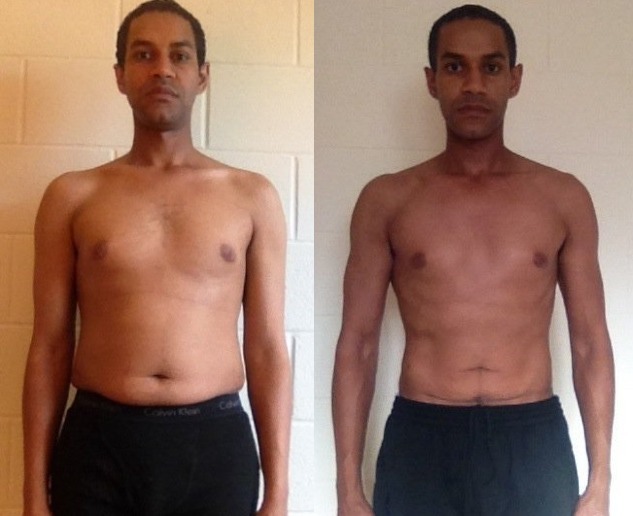 Here’s your latest essay interview with 8th place winner Ream Kidane from the 14th Adonis Golden Ratio Transformation Contest. 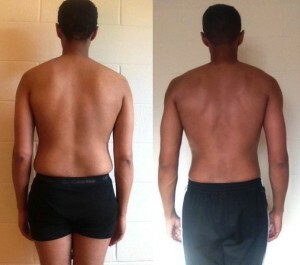 AGR was the first workout program that I have applied consistently. Before AGR, I would more or less follow whatever the newest program from Men’s Health magazine or something similar. Growing up, I played soccer and basketball and later took up running, but never had a consistent training program that I followed. As a result, my results were mediocre and I easily fell back into old habits. 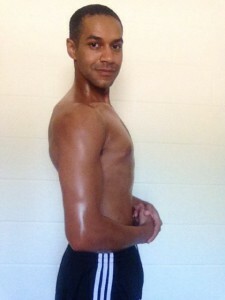 I finally made the decision that I didn’t just want to be healthy, I wanted to look damn good too! I haven’t looked back since. I’ve tried too many nutrition programs to count. The ones that I stuck with the longest were the “slow carb diet” from the 4 hour body and the “one-day” diet from Biotrust. They were both effective when I was on them. I was able to lose a significant amount of weight with both and that experience prepared me to fashion a set of habits that were helpful during the contest, but ultimately were too restrictive for me for a long term period. Honestly, I have read about and come across so many different programs over the years that I don’t remember how I first found out about AGR, but it was the only one that stuck. The most appealing thing about AGR is the simplicity. With my limited experience with weight lifting, it was easy to get overwhelmed with the amount of information that is available. AGR made it simple (but not easy) to learn the basics and develop a solid framework for steady progress. I was most skeptical that such a drastic transformation was possible in such a relatively short amount of time. 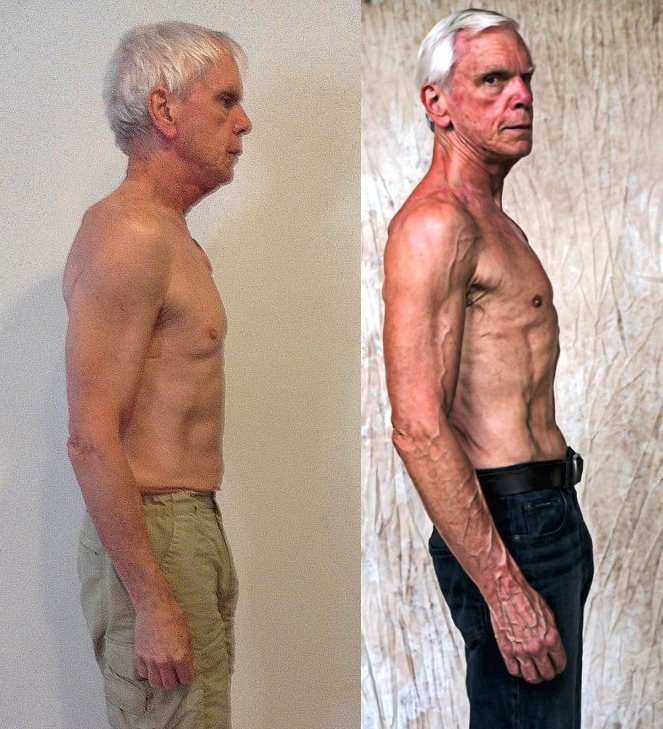 Although I had seen the transformations in the other men from previous contests and the forum, I had always secretly thought there must be something different about them. It must be their genetics or they must have more motivation or some other thing that I didn’t have. Although I had the AGR program for years, I did not jump in fully until the beginning of the AT14. It was the motivation and the accountability through the coaching program with Jason Haynes that allowed me to push through the resistance and the doubt of the first few weeks. Having someone whose been through the process to answer my questions and provide guidance was critical in the periods where I was having a lot self doubt. I had actually entered the contest once before AT14 and dropped it after a few weeks. I decided after multiple attempts at starting the program that I needed to prioritize my workout routine over anything else that came up. It meant sacrificing many of things that I enjoyed but were not actually helping me to achieve my goals. I needed to fully commit and only after doing that would I be able to evaluate how effective it would be for me. In retrospect, going through the contest was difficult, but not as difficult as I imagined it would be before I started. Some of the biggest challenges for me were psychological. I never considered myself a “gym” guy and often felt uncomfortable even being at the gym at all, among guys that looked like they had been training their entire adult life. It took a while for me to learn to not pay attention to what other people were doing, but on my own workout and my own progress. The biggest challenges came when I didn’t have access to all things that I would normally have (my gym, my kitchen, convenient access to grocery stores) when I was out of the country for several weeks. I was only about a month into the contest when I left for my trip, but in that short amount of time, I had learned enough to be able to approximate my nutrition needs and my workouts. I jumped right back in when I returned, because I knew exactly what I needed to do. I had internalized the most important parts of my routine. Most reactions to my transformation were positive. One of the most common reactions to my transformation was “you’re getting too skinny” or “you shouldn’t lose any more weight!” I found over time that it became easier to ignore. I learned not to react or explain or justify any of it. I would just say “yes, I’ve been working out and eating well and I’ve never felt better”. I got to a point at the end of the contest that other people’s reactions, positive or negative, didn’t really matter to me anymore. Although it certainly felt good to place in the contest. I’m at a point now where the only feedback I need is the measuring tape. The difference in my outlook and attitude cannot be understated. I have more energy and confidence. I sleep better than I have my entire life. I am more optimistic about almost every part of my life in general. The most important thing that I’ve gained through this process has been the level of self trust that comes with following the program through to the end. I’ve learned to trust the process and not get hung up on individual days or weeks where it seems that I am not making progress. I’ve also come to understand what it means when others have said that this is not just a workout plan or a diet, but a lifestyle. 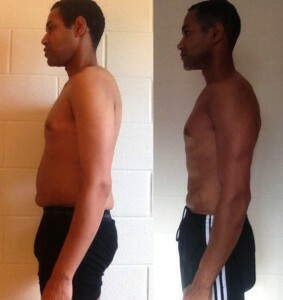 Happy to hear that your transformation was supported through the Adonis Golden Ratio Coaching Program. 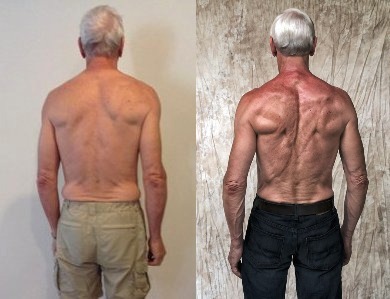 We pride ourselves on the ability to help others cross that “mental minefield” during the transformation period in order to reach not only a brand new body, but a new lifestyle. That spoke volumes on so many different levels! Congratulation again Ream, we look forward to hearing more from you as you continue your pursuit to Golden.